We design to elicit responses from people. We want them to buy something, read more, or take action of some kind. Designing without understanding what makes people act the way they do is like exploring a new city without a map: results will be haphazard, confusing, and inefficient. 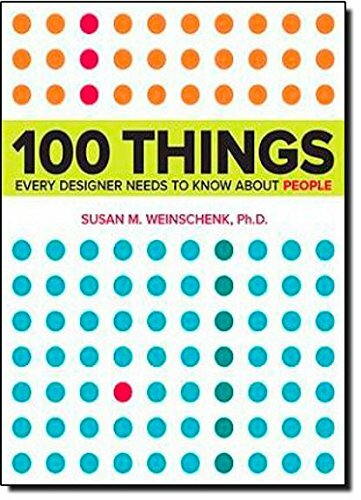 This book combines real science and research with practical examples to deliver a guide every designer needs. With it youll be able to design more intuitive and engaging work for print, websites, applications, and products that matches the way people think, work, and play. What grabs and holds attention on a page or screen? What is more important, peripheral or central vision? How can you predict the types of errors that people will make? What is the limit to someones social circle? How do you motivate people to continue on to (the next step? What line length for text is best? Are some fonts better than others? These are just a few of the questions that the book answers in its deep-dive exploration of what makes people tick.